Just Trolling Around: Happy Bunny!! Who doesn't love Happy Bunny? I sure do! He makes me laugh time and time again with his funny phrases. 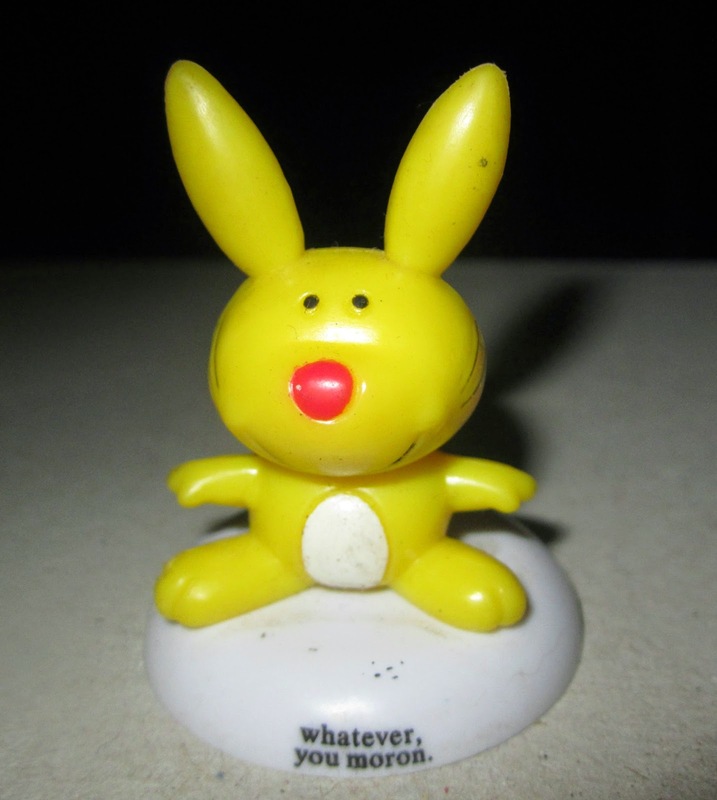 This Happy Bunny toy says, "whatever, you moron."